You guys know we love 50's Prime Time Cafe...especially sitting at the bar enjoying a peanut butter and jelly milk shake. (preferably with onion rings...) But theming is king here, and that is what pushes this restaurant ahead of nearby eateries at Disney's Hollywood Studios. The decor, as you could easily guess, is kitschy 1950's nostalgia. 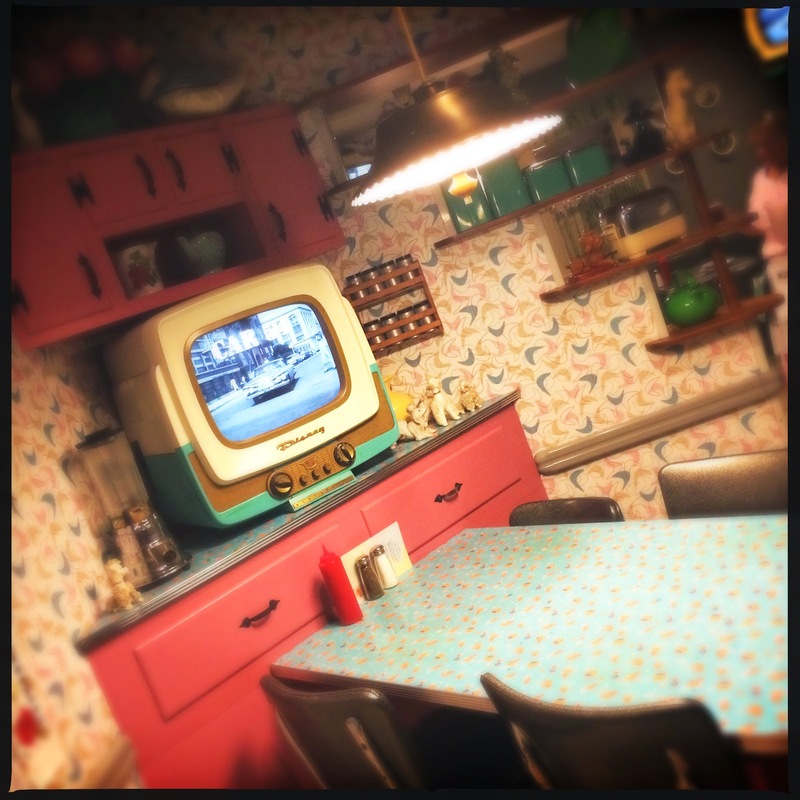 Think black and white televisions (that play on a continuous loop of awesome vintage clips...) knick knacks, formica, and plenty of pastels. This is seriously one of the best themed restaurants. Charming and perfectly ridiculous. 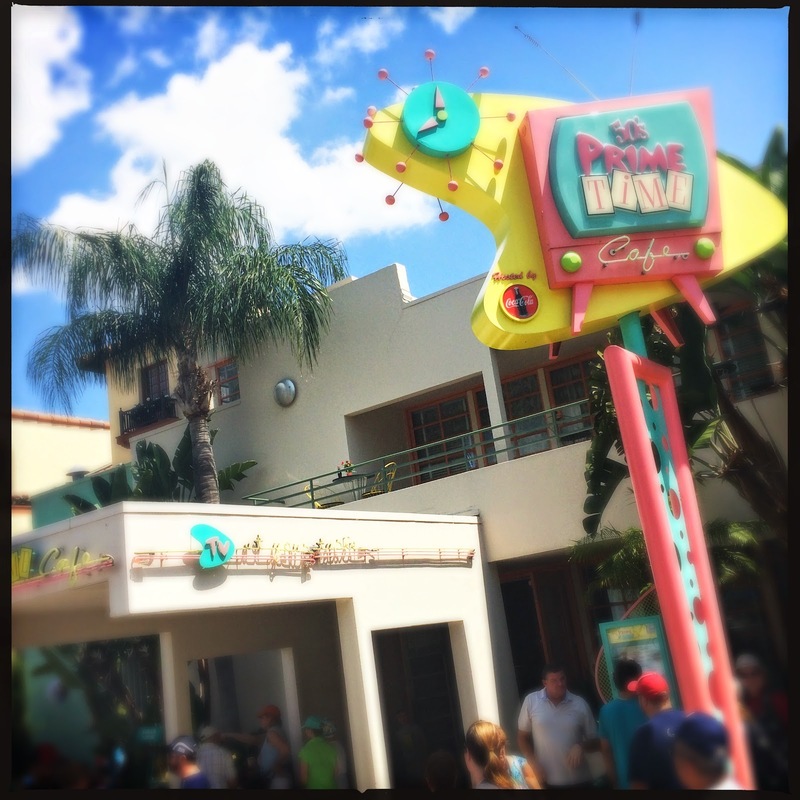 50's Prime Time also has a rare distinction at Disney World with the fact that it has TWO vegetarian options on its current menu. The current standard at WDW restaurants is either one...or occasionally zero, options for us who choose a meat free lifestyle. Kuddos to Prime Time for bucking the system a little bit. However, the good news stops there. This my friends is one of the two options. 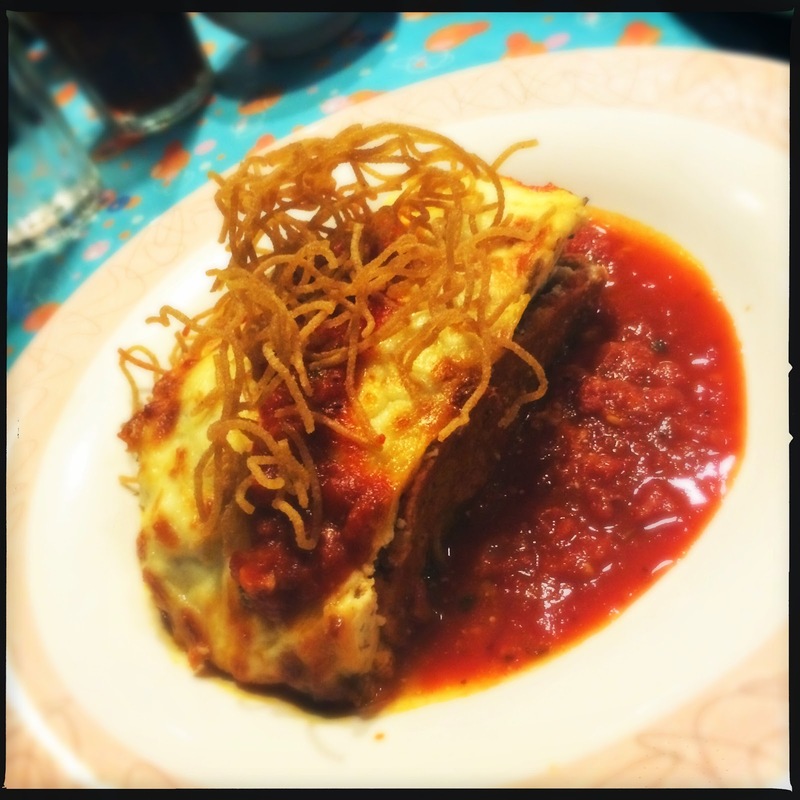 A seemingly harmless lasagna. Though its hard to pinpoint why this thing is so bad, it certainly starts with the fact that it is loaded with soy crumbles...something that neither of us are particularly fond of. The funny thing being that the other veggie option here is also soy heavy. Besides the crumbles, the dish is served sitting in pile of watery marinara, which tastes only of dried herbs and is overly sweet. The bulk of the lasagna was soggy overly cooked pasta and broiler burnt cheese. 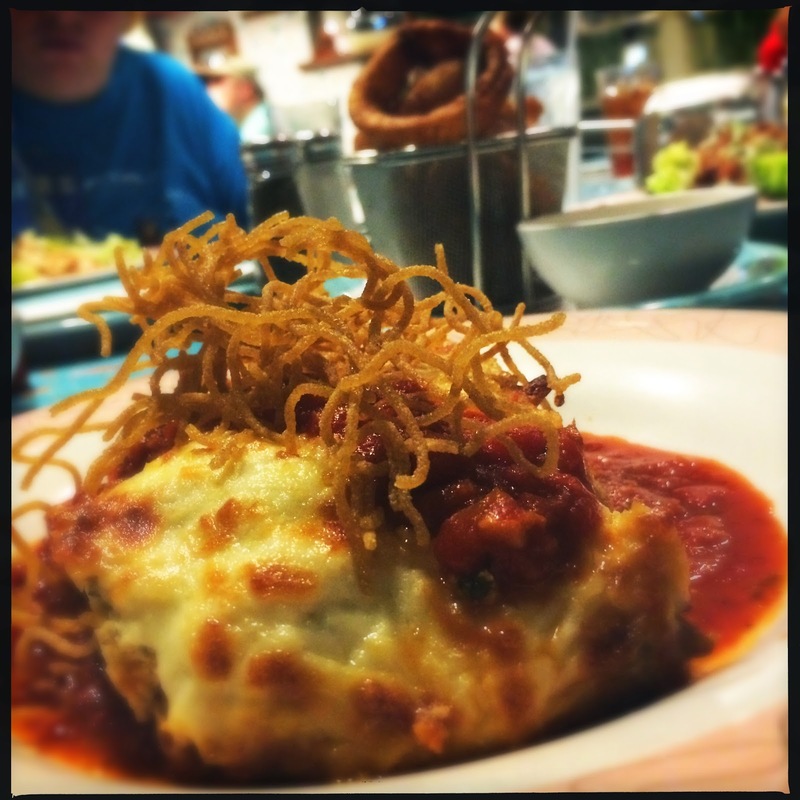 A real lasagna should stand up on its own, and shouldn't have to be drenched in sauce. The whole mess is served with fried spaghetti noodles on top. I know that these are supposed to be garnish, and admittedly go with the campy nature of the restaurant, but you should theoretically be able to eat your garnish. And these were gross, and way too hard to eat. Anyway, rant over. This dish was not a winner. We will be happy to stick with our pb&j milkshake and side of onion rings in the future, while chit chatting with our favorite bartender.